I get the whole Instagram thing. That it's meant to be a spontaneous, in-the-moment, "look at what I'm having for lunch" kind of social event. And, I love it for that. 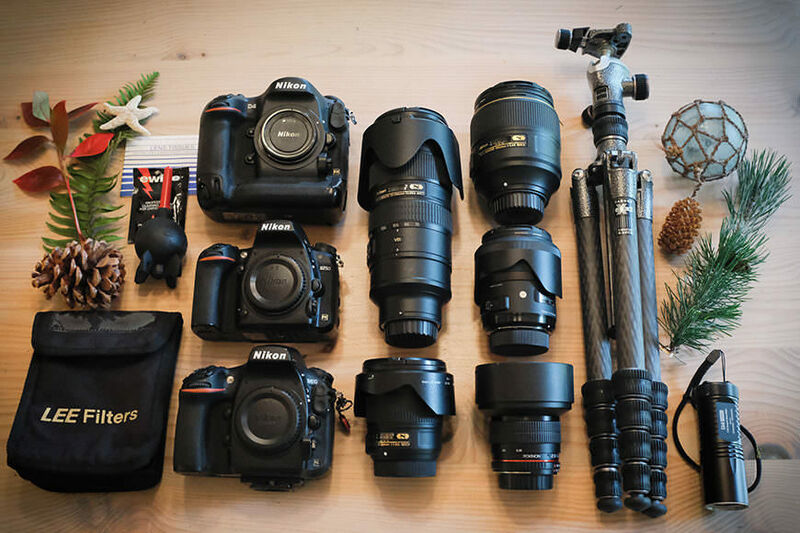 However, if you're someone like me who, in addition to their iPhone, carries around a DSLR most of the time and you want to post any of those photos to Instagram, it can be a hassle. I shoot in RAW 100% of the time and then store, manage, and edit those photos in Lightroom (I'll talk more about my complete photo workflow in an upcoming post). Once the RAW photos are transferred from my camera to my computer and edited, getting them to Instagram looks something like this: I first need to get them from my desktop or laptop to my phone or tablet through some intermediate step, for example like Dropbox or syncing to Lightroom Mobile (of all the alternatives I've found Dropbox to be the fastest way). Once in Dropbox, I need to do an EXPORT...then a SAVE IMAGE...in order to get the photo onto the phone or tablet camera roll. Finally, I can open the Instagram app on my phone or tablet, hit the little + button at the bottom of the Instagram page, which then brings up the camera roll and allows me to post the photo. Whew! 1. Open a new tab in Google Chrome. 2. Right click on the entire page and choose INSPECT. This should open a page that looks like the one below. 4. It should open to a "mobile view" by default but if not, click the tab in the upper left, just above where all the code appears in the sidebar, which will toggle the window between desktop and mobile view. As you'll note above, in the mobile view, you now have access to all of your normal Instagram buttons, just like on your phone or tablet (HOME--SEARCH--ADD PHOTO--LIKE--PROFILE). And, drumroll, please...here comes the exciting part: You can now just click on the + button, a drop down menu will appear, and you can select any photo right from the directory of your desktop or laptop and post it directly to Instagram. All of the other functions, for example liking or commenting, work just as they would on your phone or tablet. 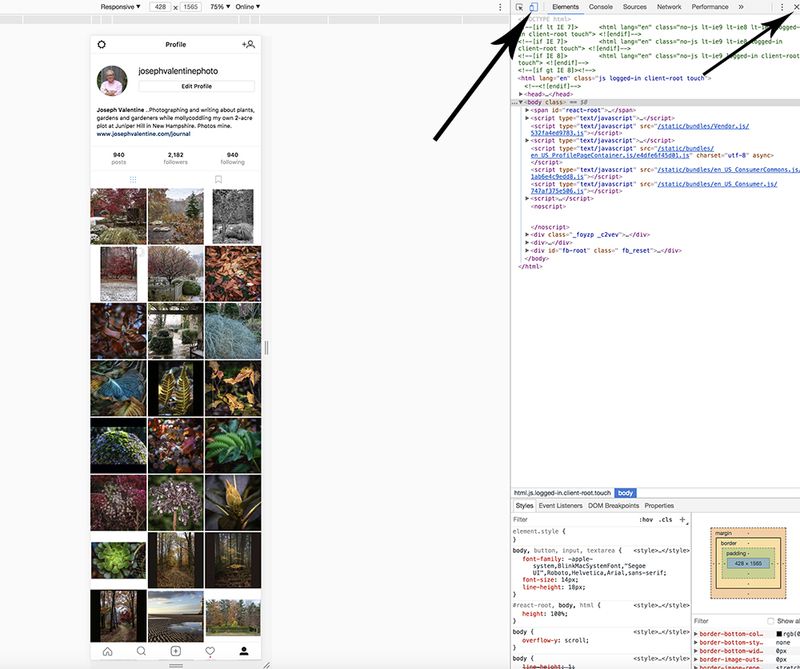 Once you make sure all is working, you can click the X button at the top right of the page--just above all the code- and this will close that sidebar and leave you with a full screen view of your mobile Instagram. I generally just keep this tab open on my browser all the time to post directly to Instagram from my desktop. 1. Open Safari. Go to > Preferences > Advanced and then check the box at the very bottom that says, "Show Develop menu in menu bar." 2. Now open a tab in Safari and then click DEVELOP from the top menu bar. From the pull-down menu, then click USER AGENT> SAFARI--iOS 10.3 (or latest revision)--iPhone. That's it! You should now see a browser window like the one below, which represents your mobile Instagram and contains all of the appropriate buttons at the bottom of the screen, such as liking, commenting, profile, and most importantly, that little + sign that now lets you post directly from your desktop or laptop. Happy Posting! Thanks to Sharon Profis of C|net for the all of the software pointers!